All About Jazz is celebrating Butch Warren's birthday today! 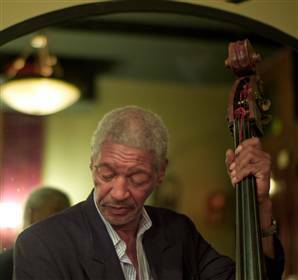 Butch Warren (born in 1939) was an American jazz double bassist who plays in the hard bop genre. He was especially active in the late-50s and the 1960s. Contents Warren began playing professionally at age 14 in a local Washington, D. C. band led by his father, Edward Warren. He later worked with other local groups, including Stuff Smith\'s... Read more.